Wayfarer Tiny Homes are architecturally designed and engineered to withstand the harshest Australian environments, while epitomising the compromise between strength and beauty. Use of their proprietary structural building platform allows for flexibility in design, construction and the ability to site them on otherwise difficult gradients while provisioning for wind loading issues in cyclone prone regions of Australia. They carry an impressive C4 cyclonic wind rating and are built with six ‘earth anchor’ tie down points integral to their well thought out engineered structural steel base, which is in sharp contrast to the usual dual axle trailer platforms most tiny house builders are using which have only achieved C2 cyclonic ratings to date. 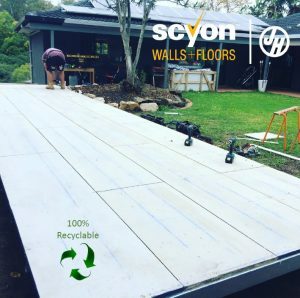 Constructed from recyclable structural concrete building products, their low-burn, high fire ratings, resistance to rot, termites and pests make them a viable out of the box, ‘plug and play’ or ‘off-grid’ housing solution in a range of challenging environments that can be ordered and delivered anywhere in Australia ready to live in.